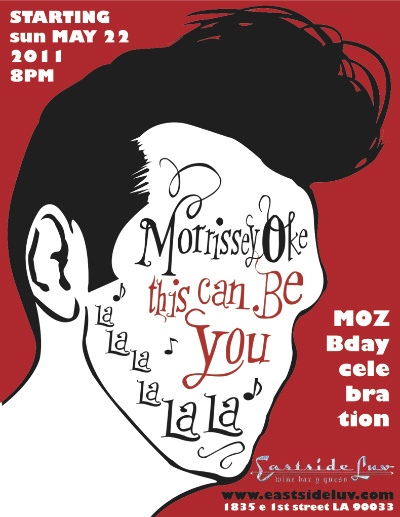 Some say it was inevitable, others ask how many “Okes” will there be, but most are letting out a resounding and collective“Yes (biting lip and clenching fist)!” Eastside Luv presents MorrisseyOke™. 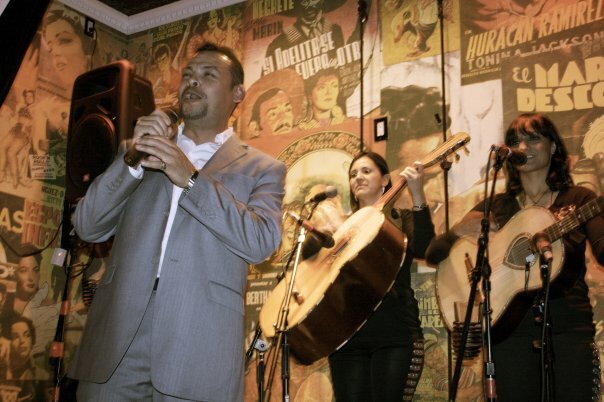 For one night, patrons of the Boyle Heights bar will be given the chance to try out their rush hour traffic and shower song renditions of Smiths and Morrissey classics in front of a live drinking audience. In the same tradition of MariachiOke™, there will be no bouncy balls or highlighted words for your lyrical comfort; ESL adheres to the “Sink or Swim” policy. Although, I believe most of the attendees and participants are bilingual or trilingual: speaking English, maybe Spanish, but certainly fluent in Moz lyrics. So you won’t be entirely alone on the stage. But when singing along with Morrissey, are you ever really? If you are strolling through Chinatown this weekend after a day’s search of bulk size amounts of fortune cookies and hole in the wall dim sum, it would be a welcomed relief to walk into the many air conditioned art spaces hidden around the freeway and metro-rail enclosed portion of the city. Galleries are popping up in the area with hoorahs and a few boos. Chinatown is in the process of redevelopment/revitalization and there are some concerns about keeping the historical and cultural heritage intact. But nevertheless, amongst the debate of gentrification, good artwork is being made and exhibited for your eyes to feast on…if they are not already full on “Wok Kok”, (I know, cultural difference but still a little alarming) off the corner of Alpine and New High St.
Hollywood has celebrated the feats of many iconic American figures who have overcome the obstacles of social, racial, and economical injustices and prejudices. General audiences enjoy a historical character who they can relate and rally around, knowing that their valuable earned dollars are funding the celebration of persons deserving of the “Celebritized” accolades. Ben Kingsley portrayed the modelesque and malnutritioned Hindu leader Mahatma Gandhi in Gandhi, and Denzel Washington as the Black Power advocate and civil rights leader Malcolm Little in the film Malcolm X. Aside from being a tribute to the lives of these great persons, it can also be the fast track towards Academy Award nominee recognition. The likelihood of Oscar gold when starring in a biopic, typically with a title surname (or middle name), is more than likely. Just look at the following examples: F. Murray Abraham (Amadeus, 1984), Will Smith (Ali, 2001), Philip Seymour Hoffman (Capote, 2005), and Sean Penn (Milk, 2008 ). 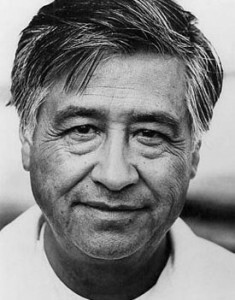 The list goes on with a slew of other nominations, and soon to be added to the star studded biopic list…Cesar Chavez. Zoning out at Mariachi Plaza, I look around the newly built Eastside Gold Line Extension while waiting patiently for Tejano turned Angelino, Vincent Valdez, who last year exhibited in LACMA’s “Chicano Visions”, a collection of Cheech Marin’s amassed Chicano artwork. Behind me, the sun collides with downtown skyline, and in front me, appears the modest Valdez, in plaid with portfolio walking up First Street. We meet at the venue for his latest solo show “An Evening with Vincent Valdez”, hosted by Boyle Height’s own Eastside Luv. 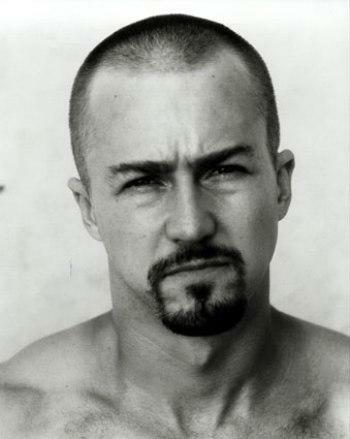 Shaking hands for the first time, two things strike me: the artist is incredibly friendly, having a warm and welcoming disposition (I had always heard myths of San Antonian hospitality, now I know them to be true), and that he vaguely resembles a Chicano Edward Norton. We step into the space; the red of overhead lights bleed onto the bar, stage, and cinémex posters. 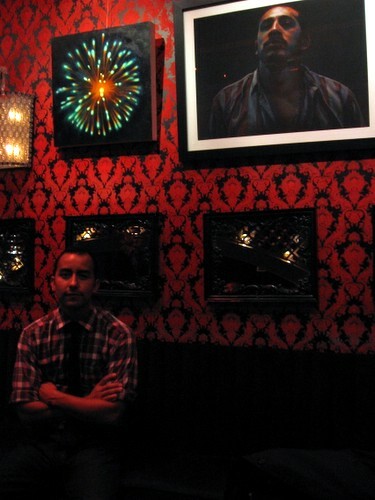 Valdez moved to Los Angeles in 2005 and has since been integrating LA themes and lifestyles into his artwork. He sits ready to talk about developing projects, and his new city muse. “Right now, I am really excited about making this LA series,” Valdez explains enthusiastically. He is currently working on a new show entitled Burn, where the artist sets city landmarks a blaze, from Dodger Stadium to Santa Monica Pier. G: You have been in LA for quite sometime, would you consider yourself an Angelino? V: You know, I think that I sort of claim myself as both a San Antonio native always and as an Angelino. 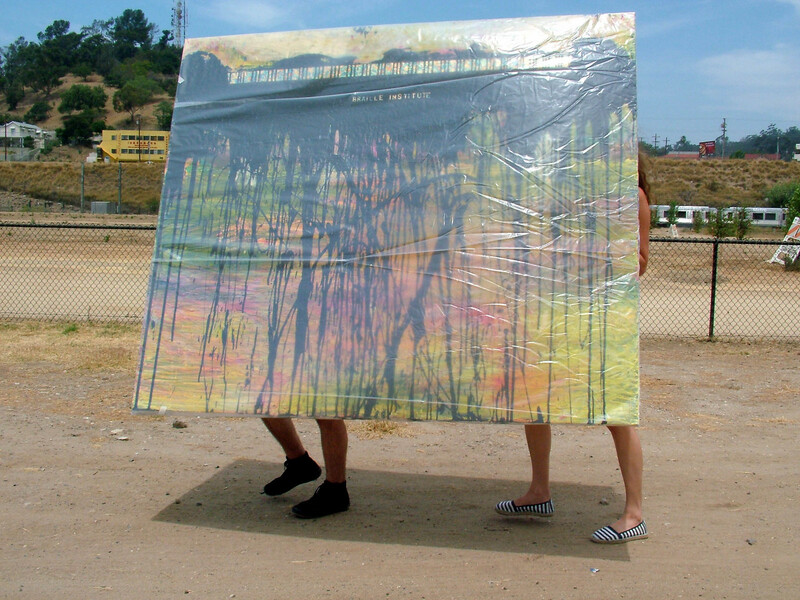 I think I have put in a major amount of time and work here in Los Angeles, and most importantly, than anything else, I really sort of seen a significant influence in my work as far as the city and the neighborhoods have in my work. I have seen it start to enrich a lot of the imagery I have been working with in my most recent work while being here.